Consulting services will offer duty savings opportunities and will reduce penalty exposure. We can overview most operations in a few days and advise steps to improve operations, find duty savings and provide recommendations for better recordkeeping of documents. This evaluative compliance audit offers an outside point of view for improvement of reduction risk. The Evaluation Standard is against the CBP entry document and AES (SED) record . Call us for a quote. Internal training and audit are strong skills that we can help you develop. Reduce your risk with our Audit Services. Export Import Compliance Group, Inc. can provide the resources and services to support your compliance needs in training and auditing. You excel at your compliance job with tools and training support. All services are based upon software reference materials and the purpose is to equip your personnel to meet compliance challenges and reduce risk. Export Import Compliance Group, Inc. offer mentoring and tutoring services in import export compliance activities. You can have expertise to bolster your compliance unit without additional employee expense. Services offer systems of references and training as well as assessment of risk areas to improve and look for cost savings. Support for Free Trade Programs and reduced duty (recordkeeping) is high risk area. Start with an assessment. 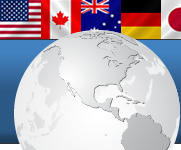 Export Import Compliance Group, Inc. can help with manuals and internal training and audit. The 9 points on the home page should be addressed; you can effectively meet these recommendations.